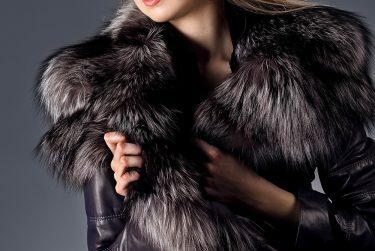 A fur that’s properly cared for can easily last a lifetime, so trust your fur to the leaders in New York dry cleaners. Our specialized resources are able to provide the most thorough cleaning and glazing methods to keep your furs vibrant and healthy, with expert services that have kept us one of NYC’s best dry cleaners for more than fifty years. The first part of our cleaning process involves a light tumbling and vacuuming to safely remove dust and dirt followed by a glazing process keeps your fur’s natural oils from drying out. And to keep them safe from aging, store them in our environmentally controlled storage space. Don’t just search “best dry cleaners near me” or “fur cleaners near me” when looking for a place to trust with your valuable fur. Go to the dry cleaners Harlem residents and the five borough residents of New York have trusted for decades for the best fur cleaning NYC can provide. ” They pick up and deliver...there are lots of onerous tasks we must face on a daily basis, and lugging winter coats, fur coats, wool pants, etc. while the hangers cut your circulation off, which then leads to you dragging your clean clothes home, or crushing them over your arm now wrinkling that lovely newly pressed suit is not one I ever want to wrestle with. I point out stains, none I've made of course (I swear somebody else must just fling food at the fronts of my jackets when I'm not looking), and I actually feel like they listen...they tag it and clean it. My precious fur jacket was returned almost in a new condition as how I had bought it. Could not be happier with the service. Highly Recommended!!! ” – Deborah T.